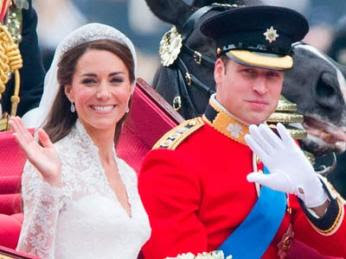 Just in case you've been hiding under a rock all weekend, the royal wedding finally happened on Friday and the world waited with baited breath as the regular girl from the country village got married to her handsome (well sort of) Prince. For those of you that don't know, I have been somewhat against this hoo-haa due to our country's finances being what can only be described as 'down the toilet' and therefore government cuts are being made in almost everything yet our government have managed to scrape together a few million to put towards this fine affair. Anyhow, my little rant is over...back to the blog post. Being a little anti-wedding, I was not really interested in watching it until street parties and such started popping up over our fine capital, so I decided I would go along - mainly for the joy of drinking on a school day without judgement. What happened next completely threw me. I LOVED EVERY MINUTE! The tradition, the patriotism and the sheer British-ness that came from this day even got me a little tearful. She looked beautiful and surprised us in Sarah Burton for McQueen. Although a strong contender for the nuptial cloak I didn't think she had it in her and believed she would go for Temperley- I am however ecstatic that she went with McQueen (although the next question is who will the other Kate (Moss) wear now for her big day this year?). She oozed elegance whilst channelling a somewhat Grace Kelly look for her big day. Well done Kate- the perfect choice. I couldn't write about the wedding day without giving a little shout out to old Queenie herself who looked fresh for spring in primrose yellow. Anyone else think that Charlie Le Mindu's AW11 collection has a little reminiscent undertone of the Royal Cavalry Guards helmets? 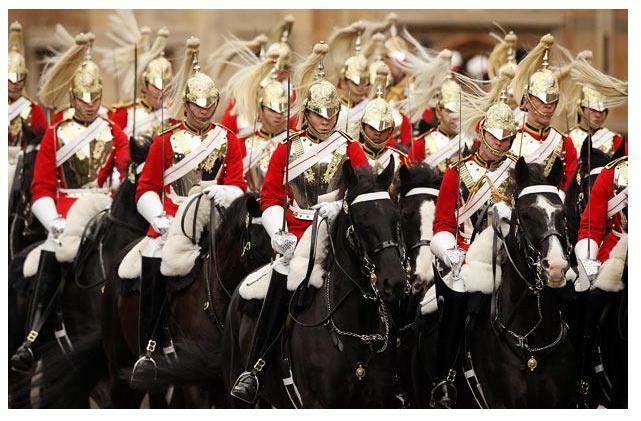 What a thoroughly British and enjoyable day. Sorry for the somewhat obvious post today dear readers but this is one London girl who is proud to be British (well at least until my cynicism kicks in again). 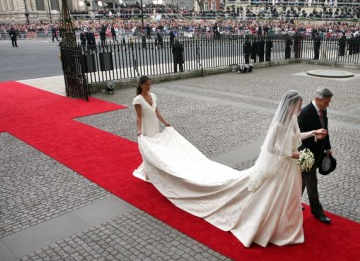 Loved her dress - can you imagine how many choices she had to sift through!? 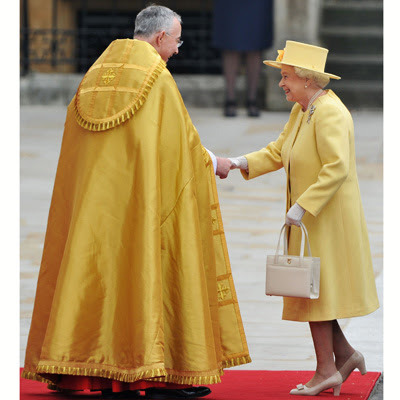 The press are criticizing the Queen's yellow, but she only has so many options on the colour wheel! I was the exact same, I had gone as far to say that I wouldn't be watching it. Watched pretty much every minute despite being at work! !